Walker Golder, a biologist known for his outstanding achievements to conserve breeding waterbirds, was the honored speaker at the 69th Birmingham Audubon Annual Banquet sponsored by Protective Life Corporation. Golder’s fascinating, illustrated presentation focused on “Sharing our Seas and Shores in the Atlantic Flyway: A Model for Flyway Scale Bird Conservation.” Golder highlighted the importance of bird conservation across the flyway migration routes, and throughout the entire annual cycle of breeding, migration, and wintering. Stretching from the Arctic tundra of Baffin Island to the Caribbean, the Atlantic Flyway spans more than 3,000 miles. However, development and urban sprawl along the Atlantic Flyway threatens the feeding grounds along the flyway vital to the birds’ survival. Golder chronicled his quest to save the iconic, piping plover, an endangered and threatened species, that nests on coastal beaches and barrier islands in the US. Indeed, we’ve all been mesmerized by this lithe little shorebird—colored for camouflage against dry sand — dancing along the water’s edge, skittering in and out of the surf, probing into the wet sand in search of a tasty morsel, and then deftly spearing up. The plovers’ wintering grounds remained a mystery until about five years ago. Golder co-lead the team of Audubon researchers that solved the mystery: the birds’ wintered in The Bahamas. This was a significant and exciting discovery. To protect an endangered species it is essential that conservationists pinpoint the location of the wintering grounds. With the diligent work, the team of Audubon conservationists helped to spearhead an international conservation partnership that contributed to the August 2015 decision by the Bahamian government to establish the 114-acre Joulter Cays National Park. In fact, Joulter Cays is critical wintering habitat for 13 shorebird species. The National Audubon Team continues to band birds, to research, and to protect their habitats. This is a huge step forward—made more urgent by the threat of climate change. 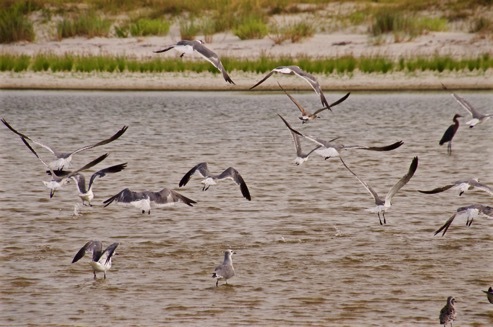 Golder also emphasized the importance of inspiring locals, as well as visitors, to become protectors of the shorebirds. 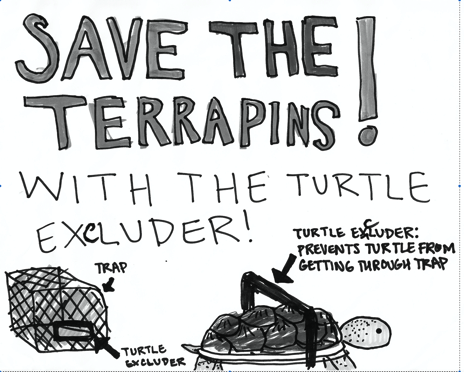 Instead of putting up negative warning signs, they had school children design posters asking people to SAVE OUR SHOREBIRDS. In addition, volunteers welcome visitors, and setup spotting scopes to observe the birds without disturbing them. This clever approach struck a note with me. 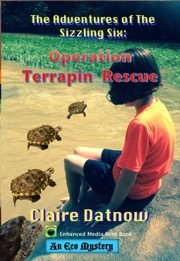 In my forth coming Eco mystery on the Diamondback terrapins, I included a poster contest to help save the terrapins from drowning in crab traps. A native North Carolinian, Golder has devoted his 27-year career with Audubon to the protection of all birds, and particularly shorebirds in his home state and across the Atlantic Flyway. He launched North Carolina’s Important Bird Areas program, and served leadership roles in the Atlantic Flyway Shorebird Initiative, American Oystercatcher Conservation Initiative, South Carolina Shorebird Project, and development of the Southeast Waterbird Conservation Plan. Fortunately, under Golder’s dynamic management Audubon’s North Carolina Coastal Islands Sanctuary System has grown to 21 sanctuaries that protect more than 25,000 nesting pairs of waterbirds and shorebirds, representing 35 percent of North Carolina’s waterbird population including some of the state’s most imperiled species. 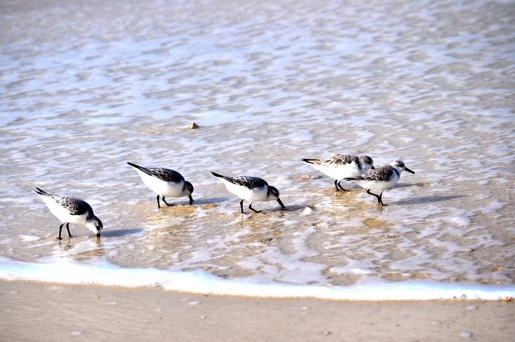 Birmingham Audubon, in partnership with Mobile Bay Audubon, promotes bird conservation through the Audubon Coastal Bird Survey along Alabama’s coast.